Brown (head) was waived from injured reserve by the Broncos on Thursday, per NFL Communications. Analysis: Brown was placed on IR after clearing waivers last week. If he clears waivers again, he'll become a free agent and will be able to sign with any team as soon as he's healthy. Brown (head) has been moved to injured reserve, per NFL Communications. 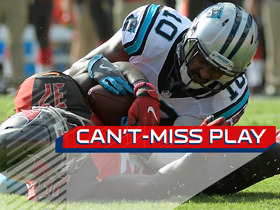 Analysis: Brown last appeared in a game with the Panthers in 2016, failing to earn a 53-man roster spot out of camp with the Bills last season. He won't return to the mix again in 2018 following the latest development. Brown (head) was waived/injured by the Broncos on Tuesday, Mike Klis of 9News Denver reports. 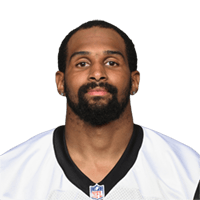 Analysis: Brown hasn't suited up for an NFL game since 2016, when he logged 27 catches for 276 yards and one touchdown in 16 games. If he clears waivers, he'll revert to the Broncos' injured reserve and await an injury settlement. Brown (head) isn't expected to play in Saturday's preseason opener against the Vikings, Ryan O'Halloran of The Denver Post reports. Analysis: Brown has been out of commission since hitting hit in the head during a weightlifting accident in late July. It isn't clear how much more time the receiver may miss. Brown won't practice Sunday after hitting his head before the session, Ryan O'Halloran of The Denver Post reports. Analysis: Brown reportedly hit his head on a rack in the weight room Sunday morning, leading to his absence from practice. It's unclear if he suffered a concussion, in which case he'd likely miss at least a few days of practice, or whether the issue is minor and he'll return soon. Brown signed a contract with the Broncos on Friday, Troy Renck of Denver 7 News reports. Analysis: Brown is facing a thick pack of wideouts looking to make the Broncos' roster in 2018. He hasn't played since 2016, when he caught 27 passes for 276 yards and a touchdown with the Panthers. Look for him to compete for a depth role during camp and preseason. 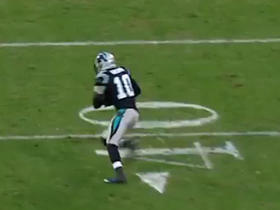 Tampa Bay Buccaneers safety Keith Tandy picks off Cam Newton deep down field. 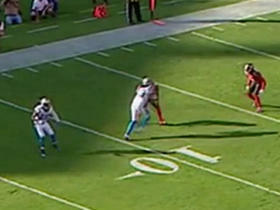 Carolina Panthers QB Cam Newton throws it short to Philly Brown for 17 yards. 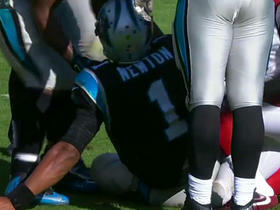 Carolina Panthers quarterback Cam Newton gets hit low. 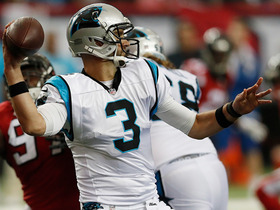 Panthers Derek Anderson finds Corey Brown for 16-yard touchdown on 4th down. Carolina Panthers QB Cam Newton finds wide receiver Philly Brown with a beautifully thrown pass for a 27-yard catch heading towards the sideline. 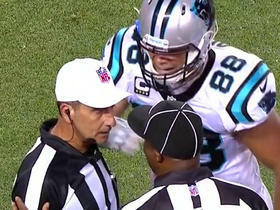 Carolina Panthers tight end Greg Olsen wins a call after almost getting an offensive pass interference penalty. 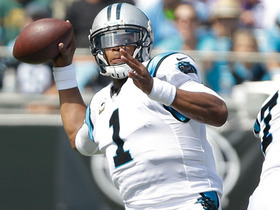 Panthers Cam Newton tosses to Corey Brown for a 20-yard touchdown. 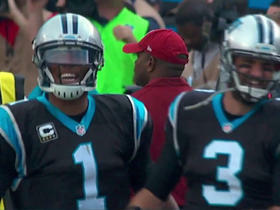 Panthers Derek Anderson hits Philly Brown, teammates get pumped up.